I love it! I bought the block queso at Wal-Mart (it is called Mexican dipping cheese) and all my friends are convinced I actually know how to make it! Great idea. 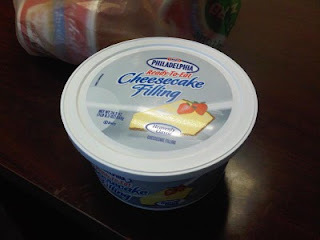 You could even top it with half a can of either cherry or blueberry or raspberry pie filling (found in baking aisle) to add extra flavor and color.